I feel like us beauty fans are always on the quest for the one perfect product. The one foundation that will have amazing coverage but still leave a luminous finish; the one mascara that will add length, volume and flutterability; the one-sweep wonder lipstick that’ll be highly pigmented but still light on the lips and maybe even bring peace to the middle east. But recently I’ve gone for a slightly different tactic – why not combine two good products for one perfect finish? The concept of layering several mascaras has been growing in popularity recently, and I’ve been teaming up some of my other makeup too. I like all of these products on their own, but together they’re the ultimate dream teams, each product making up for the other’s flaws and balancing them out perfectly. This is starting to sound a bit romantic, isn’t it? Good, because I’m in lurrrrve with it. First up we have my current foundation routine. This was actually recommended to me when I was recently at a photoshoot with work. Taking a break from my usual activity of scoffing all of the free pastries, I pestered the on-set makeup artist for her recommendations and tips. I was SO happy when she said that one of her favourite foundations is Vichy Dermablend, the £12 wonder that I reviewed here. When I said that I loved Dermablend too but did find it a bit mask-like in some places and that I didn’t love the way it interacted with cream products, she suggested using it only on the places that need more coverage, e.g. the nose and under the eyes, and then using another foundation on other areas of the face. And voila, my new favourite combination was born. If you saw my Sephora haul back in June, you’d know that I picked up Anastasia Beverly Hills’ Brow Whiz. I loved the product LOADS, but I used it up in about a month. At around the same price as the ABH Dipbrow Pomade (£15), which I’ve had for over a year, I didn’t really think it was worth re-purchasing so regularly, so I was happy when I spotted the clear dupe that is NYX’s version. I’ve been using this since and it is SO good – easily as good as Brow Whiz, in my opinion. 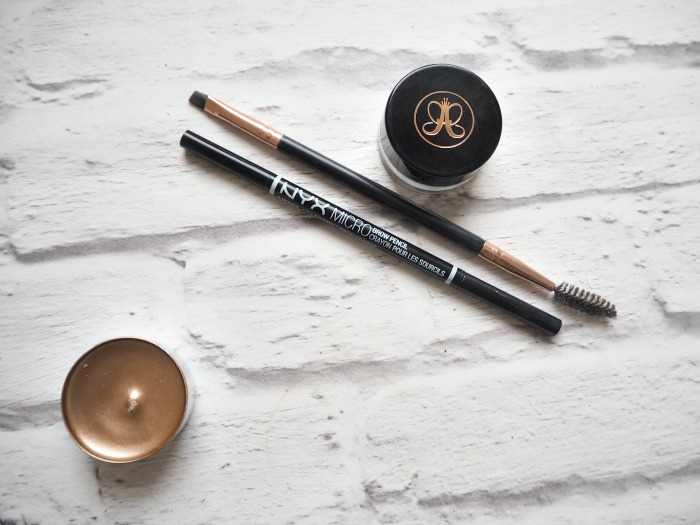 While I do love it on its own for everyday brows, for a full-on evening brow I love combining the products. I’ll use the NYX pencil to outline my brows, and Dipbrow Pomade to fill them in and gradually fade them into the middle. Say hello to the fleekiest brows of your life, I promise you. This isn’t exactly the same seeing as they don’t do the same thing, but my final product combo that I’m loving is this bronzer and highlighter pair. As I mentioned in my Estee Edit haul, the bronzer has a beautiful matte finish and so is perfect for contouring. 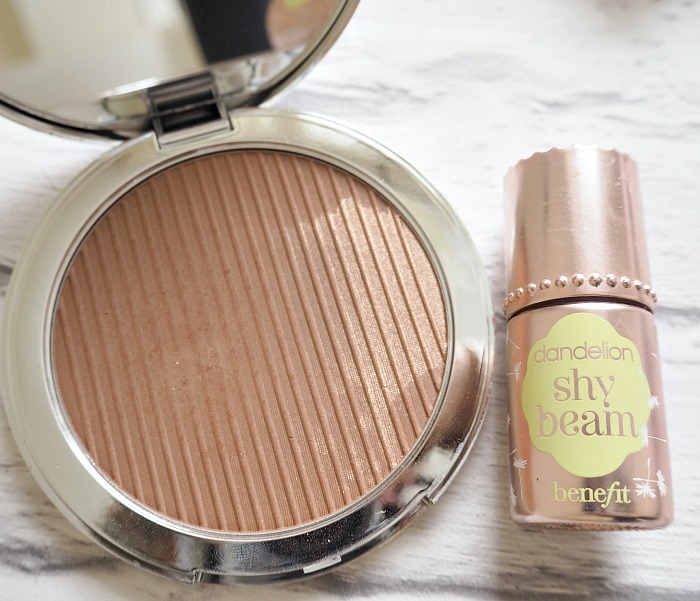 Shy Beam has been another favourite of mine since my Sephora trip, and the liquid-to-powder finish means it actually compliments a powder bronzer perfectly. I’ve got a few different contour kits, but all have been put to one side for this dream team lately. 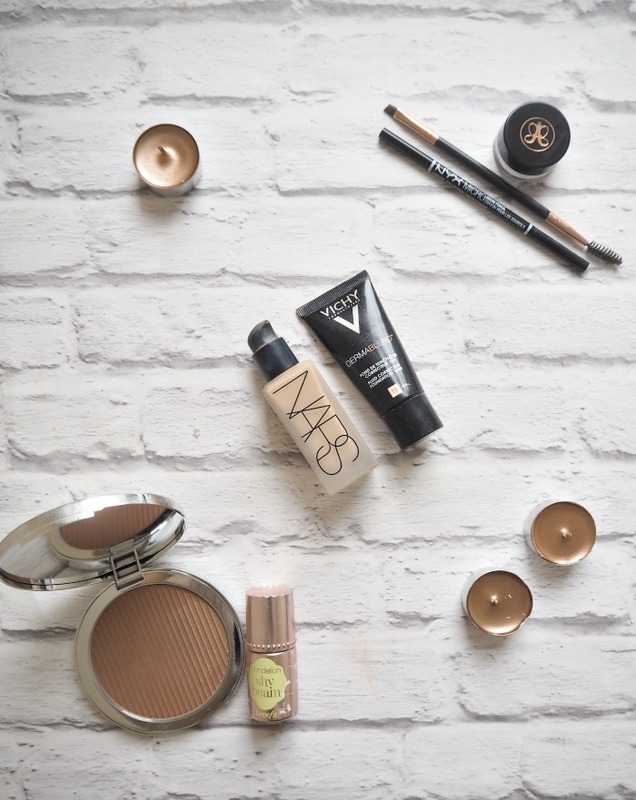 These are my favourite products to use together, but what are yours? Let me know in the comments! Lovely post! I also like to use my Micro Brow & Dip Brow together. One of my favourite pairings at the moment is the Hourglass Mineral Veil Primer + Revlon Colorstay Whipped Foundation. For some reason, my foundation looks the best it ever does when I use those together and it holds up during the hot summer heat! I’ve not tried using my Vichy foundation with other bases, might need to give it a go and see how that works out for me! I use two different eyebrow products too! Def can relate this! These are some high class faves! 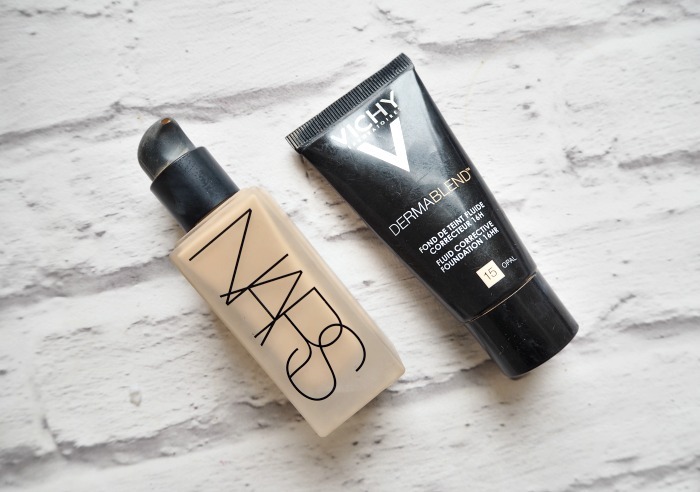 I definitely want to try the Nars foundation – it sounds amazing! Great combination ideas! I want to try the Dermablend. 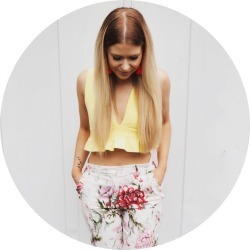 I always love layering products together! I have so much trouble doing my brows. I have to try this duo!